These 10 mortgage tips can help you with your mortgage decisions in 2014. 1.Document your finances: Lenders will be extra diligent when underwriting home loans in 2014, as new mortgage regulations go into effect in January. The rules put pressure on lenders to verify that borrowers have the ability to repay their loans. 2.Lock a rate as soon as you can: Rates will likely climb in 2014 as the Federal Reserve is expected to reduce the pace of the economic stimulus program that has long helped keep rates low. 3.Refinance now — if you still can: Many homeowners lost the opportunity to refinance at a lower rate when rates jumped in 2013. But those who are still paying more than 5 percent interest on their home loans might still have an opportunity. 4.Buyers, use your bargaining power: As mortgage rates climbed, lenders lost a big chunk of their refinance business. In 2014, they will turn their attention to homebuyers and will fiercely compete for their business. Buyers should take advantage of bargaining power they gain with that increased competition. 5.Learn your rights as a borrower: Mortgage borrowers will get many new rights as consumers this year when new mortgage rules created by the Consumer Financial Protection Bureau go into effect in 2014. 6.Take good care of your credit: It’s nearly impossible to get a mortgage without decent credit these days. That will continue to be the case in 2014. If you are planning to get a mortgage, monitor your credit history and score until your loan closes. The best mortgage rates usually go to borrowers with credit scores of 720 or higher. You may still get a mortgage with a score of 680, but lower scores will mean higher rates or higher closing costs. 7.Don’t overspend: Lenders don’t want to give out loans to borrowers who will have little money left each month after they pay their mortgages and other debt obligations such as credit cards and student loans. 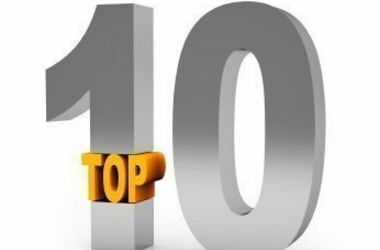 8.Consider alternative mortgage options such as ARMs: A homeowner planning to keep a house for seven to 10 years could take advantage of lower mortgage rates by choosing a seven- or 10-year ARM instead of the 30-year traditional fixed-rate mortgage. Rates on adjustable-rate mortgages can be as much as one percentage point lower than on fixed-rate loans. 9.Considering an FHA loan? Reconsider: Mortgage insurance premiums on FHA loans are likely to continue to rise in 2014, and after recent changes, the borrower is now required to pay for mortgage insurance for the life of the loan. Try to qualify for a conventional loan before you apply for an FHA mortgage. 10.Don’t panic:Yes, mortgage rates will likely climb in 2014. But don’t panic, thinking you have to buy a home now to grab a low rate. If you are shopping for a home, do your best to move quickly, but remember that this is one of the biggest financial decisions of your life. Get your mortgage and buy your home when you feel ready. This entry was posted in first-time homebuyers, foreclosure prevention, home remodeling, homebuyers, investor properties, real estate, refinace, sales and tagged FHA loan, mortgage, refinance, tips.